If you happened to work in a bike shop and have ever ordered a Fairdale there’s a good chance you spoke with Phil Bailey. He works at our in house distributor Full Factory Distro. 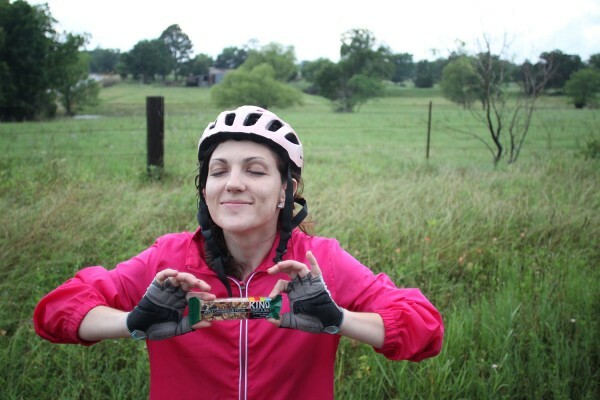 Over the next 8 days or so he is leading a bike ride from Austin to New Orleans. 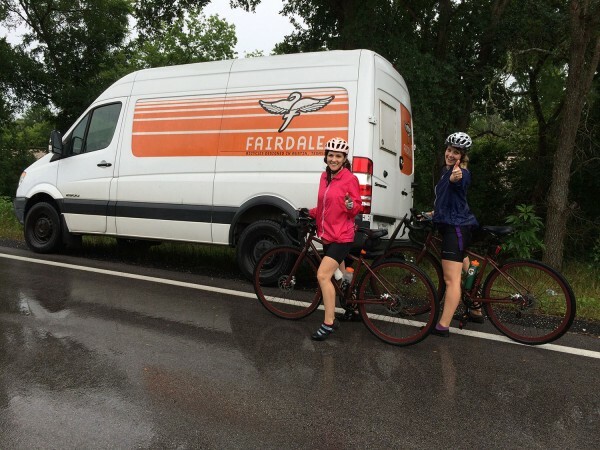 Liz Mckibbon and Emily Ermer will be doing the pedaling while Phil drives the Fairdale van as a support vehicle. Having a support vehicle is such a rad addition to a trip like this. Someone who can carry the food and camping gear and of course be there if anything should go wrong. Also, Phil will be able to race ahead and visit some bike shops along the way spreading Fairdale, Sunday Bikes, Odyssey and G-sport everywhere he goes! 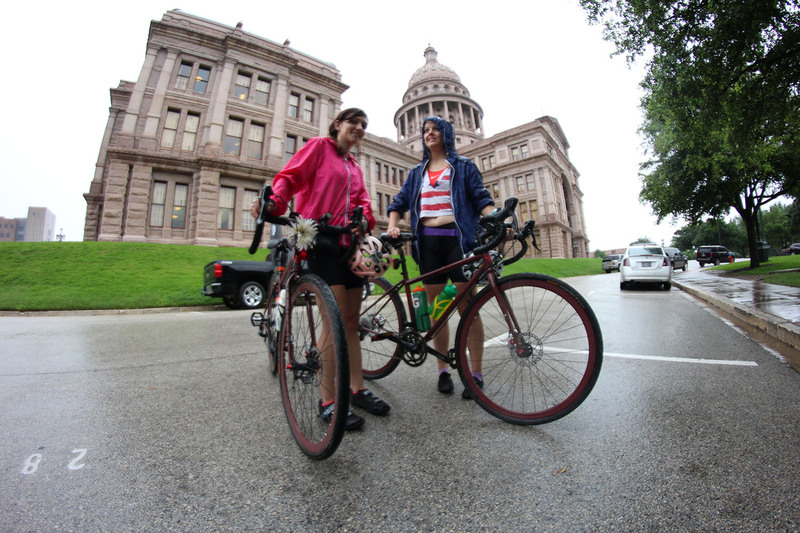 Phil sent us this update: Day 1, Austin to Caldwell, TX. Liz and Emily are riding from Austin to New Orleans. I am driving the Fairdale van as a support vehicle, carrying all of our camping equipment and supplies. I will also be taking photos to document the trip. The personal primary goal of the trip is the challenge of completing such a long journey and also experiencing nature through Texas and Louisiana. The other half of my goal is to stop in to bike shops in local towns to endorse Fairdale and visit some of our existing dealers. 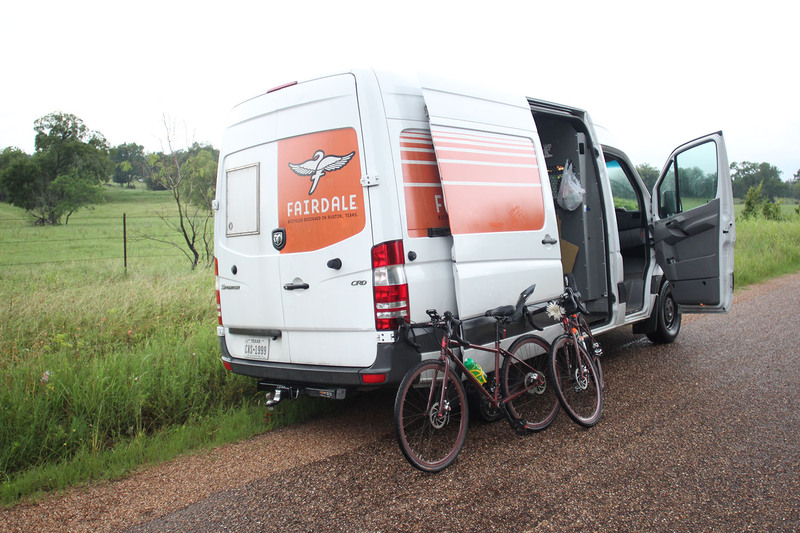 We also wanted to show that Fairdale bikes were made to go on an adventure. Bikes that can take you from paved roads to gravel roads through the rain and shine. Just the first day alone riding through the rain the disc brakes came in so handy. A part of the trail became bumpy with potholes, gravel roads and even puddles of water. The bigger tires really came in handy when the riders had to ride through some mud, gravel or even through a few inches of water. The weekender has proven to be a good bike for a beginner to even the most seasoned rider. 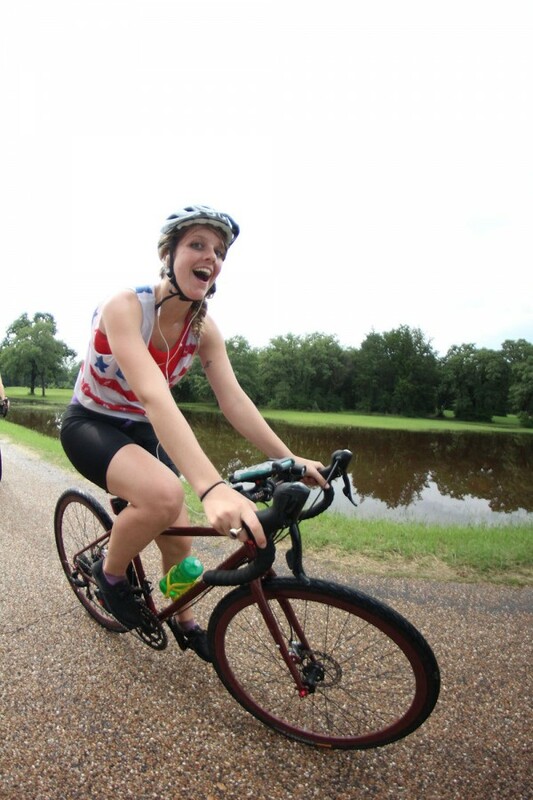 Emily is a less experienced rider and found the weekender to be an easy-to-ride bike for a not-so-easy journey. Liz is enjoying all the perks of her weekender after coming off of a more road specific bike. The day was chock full of rain. At some points the wind was blowing us so hard I thought we would fall over. We did get a few moments of sunshine in the last hour or so. I don’t mind the rain so much outside of the added danger from cars and slippery roads. Outside of near nonstop rain, the Texas countryside is absolutely beautiful. Wildflowers are in bloom everywhere. We saw a good bit of cattle along the way and even some long horns. The route we took was incredibly rural. It was strange that at times we wouldn’t see a single car for 15 minutes or longer. At one point we were practically off-roading through a rocky dirt road flooded with water. Good thing we have the fat tires!